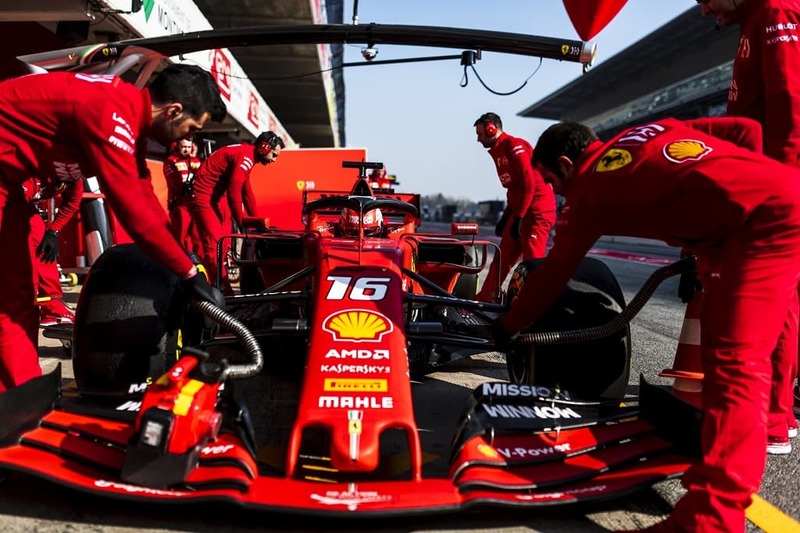 Home Formula 1 Could Ferrari’s Front Wing Be the Culprit? Could Ferrari’s Front Wing Be the Culprit? Ferrari is still puzzled how someone could fall from grace so quickly – from top contender to clear loser. Now the front wing is the main suspect. There were many questions marks on Ferrari’s weekend performance and on their faces, too. No one knew what the problems caused. They were the big favorite that weekend in Albert Park, but they were the big losers at the first Grand Prix of the season. 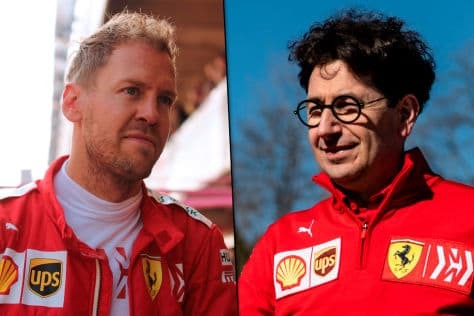 Even F1 experts agreed: “Neither Ferrari understands why they were suddenly so bad nor Mercedes, why their Silver Arrows were suddenly so strong,” says Lamborghini President Stefano Domenicali to ABMS and F1 Insider. “The problem is that we haven’t completely understood the cause of the problem yet. We are still confident that this was not the real picture of the car’s potential. Hopefully, this will have been a good lesson for us when we have figured it out,” Binotto admits. Sebastian Vettel revealed: “While we had to struggle with a bad rear end last year that had understeering, this time it was the exact opposite.” In other words, the front axle simply didn’t generate enough grip. Main suspect: the new front wing, which, with its outwardly sloping rear flaps, diverts air around the front wheels around, thus reinforcing the suction effect at the rear. The problem: At the front, it is less positioned against the wind, hence it provides less downforce. Some technicians speculate: On extremely smooth as well as aerodynamically demanding tracks like in Barcelona, this system worked. On the wavey track like the one in Albert Park with extremely little grip as well as many slow and medium speed curves, it didn’t work. Red Bulls Helmut Marko noticed: “Ferrari used unusually steep wings.” That, in turn, explains, together with the bad traction cost top speed of almost 20 km/h compared to other top teams. This theory is supported, by the fact that Mercedes, which uses a conventional front wing, was suddenly ahead of Ferrari. Haas F1 Rich Energy, too, uses a conventional front wing and it came close to Ferrari. In fact, Ferrari’s lack of downforce probably contributed to the fact that tires didn’t work properly on the Ferraris.